Please note all locations will be closed Easter Sunday, 4/21/19. We hope you enjoy the day! 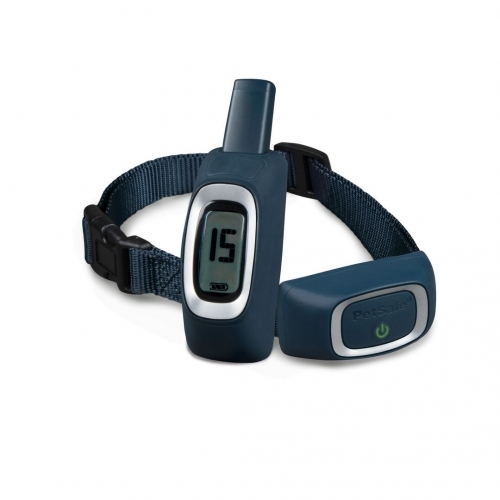 Quickly and effectively train your dog with either the PetSafe 100 Yard Remote Trainer or PetSafe 100 Yard Lite Remote Trainer. Both versions are rechargeable and waterproof systems to suit your lifestyle. Each comes with three different types of stimulation: tone, vibration and 1-15 levels of static stimulation (with safety lock feature for 8-15). The Lite version features a milder stimulation for sensitive and smaller dogs, even when increasing to higher levels. The digital remote is easy to read and features a convenient two-button design with dedicated buttons for tone and stimulation. This makes it easy to use as a vibration or tone trainer. It is lightweight and ergonomically designed to fit dogs 8 lb. and up with neck sizes up to 28". © 2019 Granville Milling, Co. . All rights reserved.